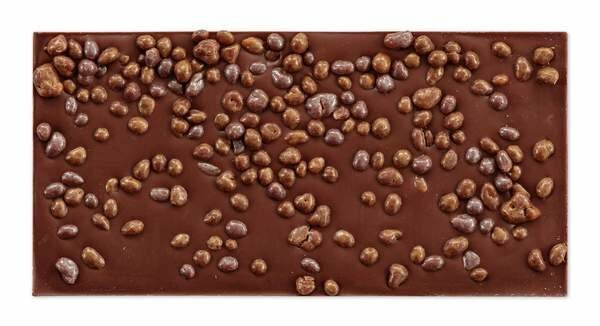 A 55% milk chocolate bar filled with crunchy caramel pearls! 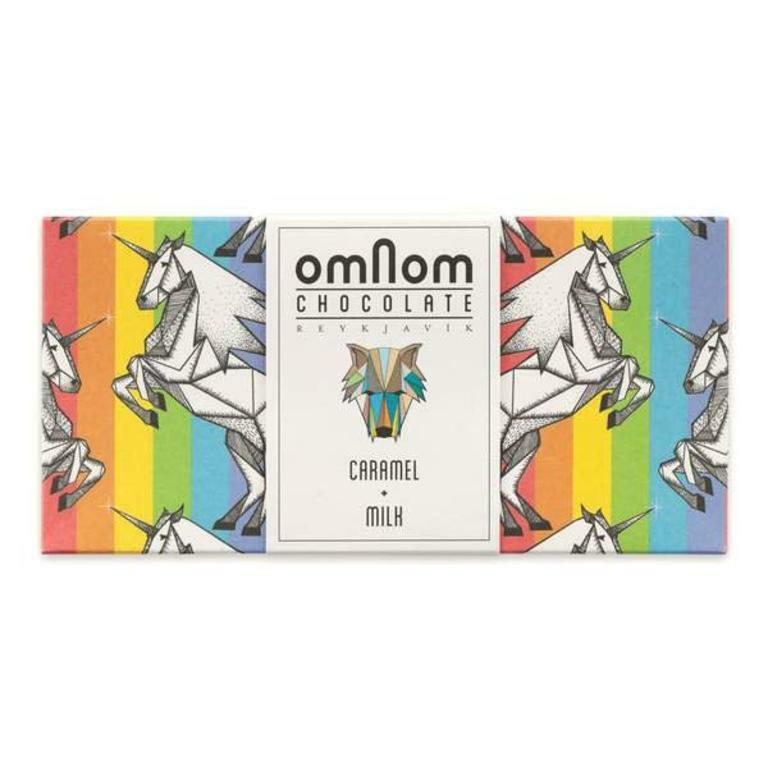 Iceland’s only bean to bar chocolate maker, OmNom was started by former chef Kjartan Gislason. Inspired by the bean to bar movement in the US, Kjartan started experimenting with making chocolate in 2014. OmNom has a small location in Reykjavík, Iceland, and every step of their chocolate making is hand crafted. 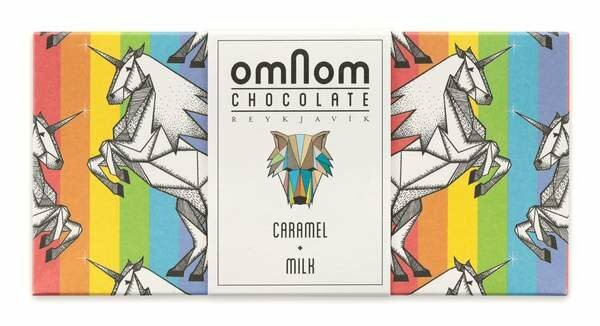 All Omnom chocolate is crafted from organic cacao beans and Icelandic milk. The fun brand name was inspired by the sound Cookie Monster makes when munching down on cookies. Ingredients: Organic cocoa beans, organic cane sugar, cocoa butter, Icelandic milk powder, aromatic caramel (sugar, glucose syrup, water, butter, cream, salt, raising agent (sodium bicarbonate)), emulsifier (sunflower lecithin), colouring glazing agent (E171, E172). 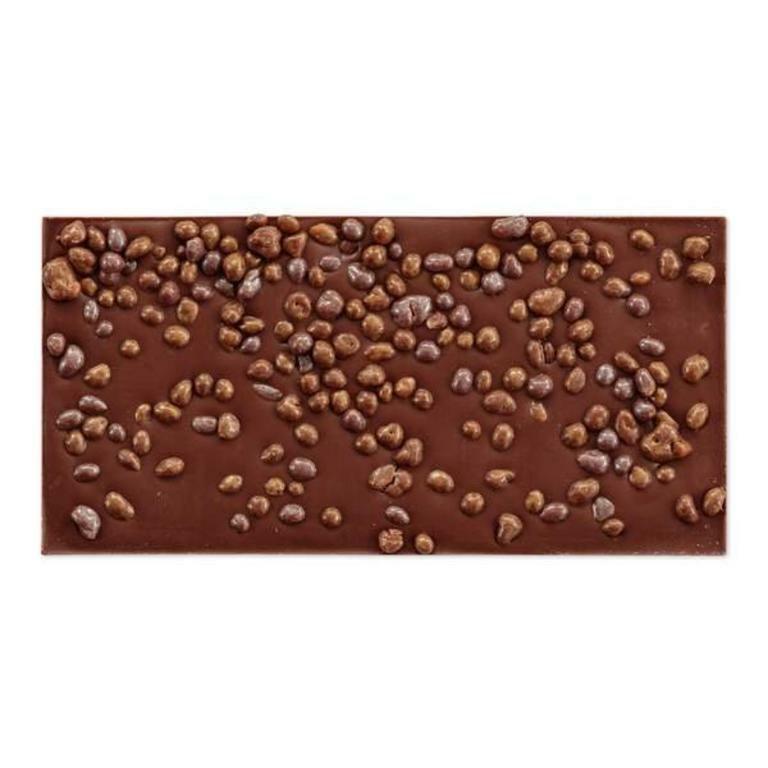 Sweet cocoa milk chocolate with a nice acidity and hints of dried fruit. The crunchy coconut and spices offer a surprising and slightly addictive side.